Oakland North reporters went out to different locations across Oakland on Thursday, October 22, between 11 a.m. and noon to observe what happens throughout the city on an ordinary weekday morning. They recorded what they observed using cameras, tape records and old-fashioned pen and paper. 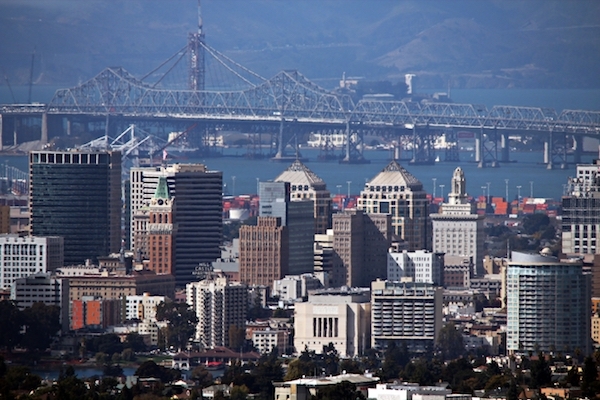 Some of the places they visited include the West Oakland BART Station, the Port of Oakland and Children’s Fairyland. Click on the map above for links to each of their accounts. 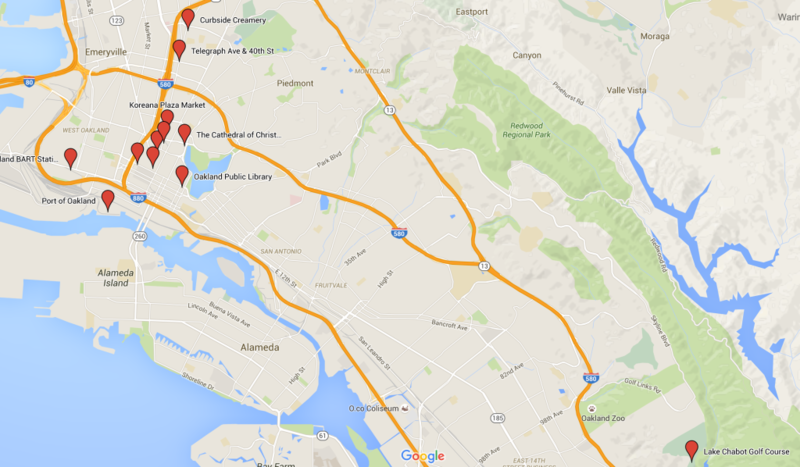 Map showing where Oakland North reporters visited.